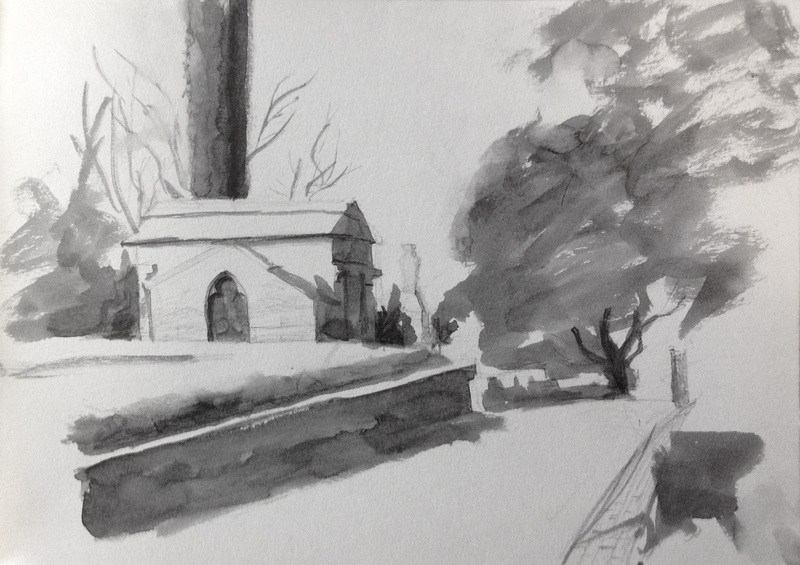 A group of sketchers met at the Oakland cemetery in Atlanta for Sketchcrawl 42. It was a cold day even though the sun was shining. 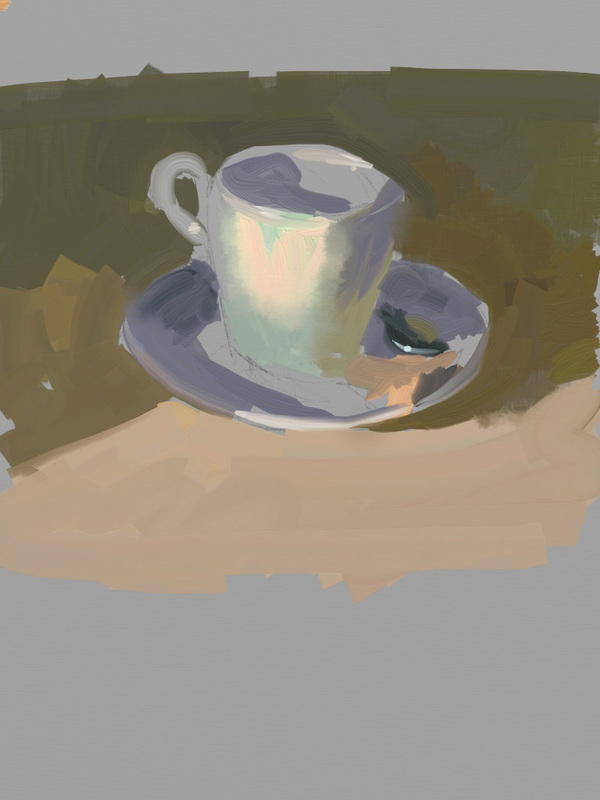 I managed to do a quick watercolor and pencil sketch of a tomb before a few of us retreated to a cafe to warm up and sketch indoors where I pulled out my ipad and did a quick study of a coffee cup using Artrage.